SUBBIE LOVERS WE GOT ANOTHA ONE!!! 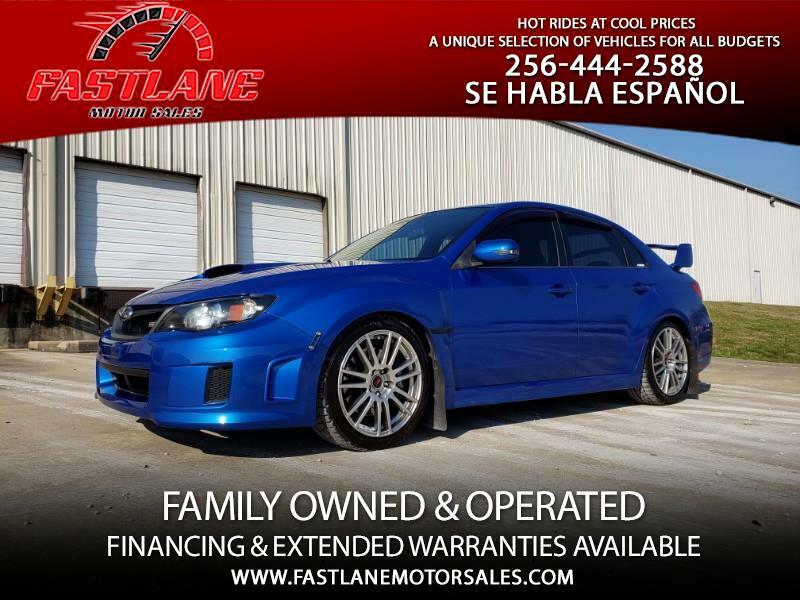 Check Out This Wicked 2011 Subaru WRX STI. Loaded "Limited" Model! World Rally Blue! 2.5L Turbocharged Boxer Engine With A Near Bulletproof 6-Speed Manual Transmission. These Cars Are Amazing In Stock Form, But This STI Is Super Bad! She's On That Good Boost And Ethanol! Over The Weekend We Took A Short Trip To Fast Performance Tuning And This Subi Laid Down 336 HP & 421 FT/LB OF TORQUE TO THE WHEELS!!!! (Check Comments on Facebook For Dyno Results!) Protuned On A COBB AP With E85 Kit! COBB Intake! 1300cc ID Injectors! TOMEI Headers! TIAL 38mm V-band Wastegate! OPEN DUMP!!! TGV's Deleted! GRIMMSPEED Downpipe, BCS And Oil Fill Cap! SPT Cat-back Exhaust! (Sounds Amazing!). PERRIN Belt Cover And Diversion Panel! Megan Racing Strut Brace! Real Carbon Fiber Trim On Trunk! OEM Subaru Vent Shades! Inside And Out This STI Is In Great Shape. Only 108K Miles In The Car Itself (Engine Has Been Replaced) And A Clean CarFax! $18,950 Plus Tax & Title For AL Residents.